If you are tight, tense, sore or in pain, you want to do everything you can to feel better right away. Your medical physician will rarely tell you about effective, drug-free muscle relaxers. So please help yourself to my 2 favorite recommendations for natural relief–good results, inexpensive AND quick-acting. Magnesium is nature’s muscle relaxer. While many patients may have some sort of calcium/magnesium supplement they are using, I usually recommend setting it aside and trying Natural Calm. Calcium/magnesium tablets or capsules are not fast-acting, if they even work at all. On the other hand, Natural Calm is a magnesium powder you mix with boiling water. It makes a pleasant drink and is very effective at naturally relaxing muscles and nerves. 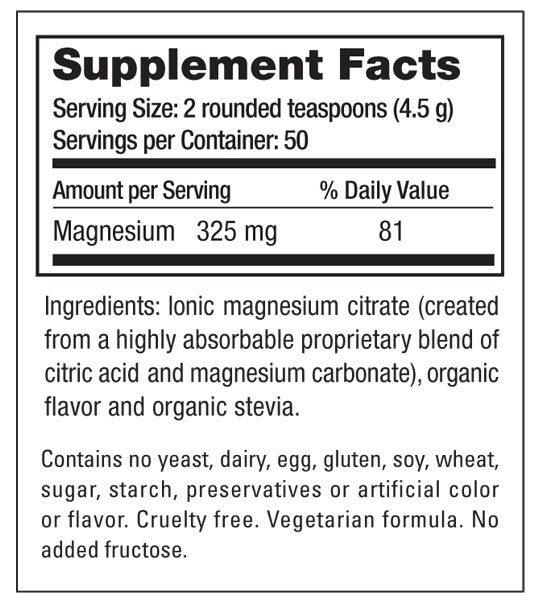 National health authorities say most Americans are deficient in magnesium. Good sources of magnesium come from spinach, legumes and nuts. Deficiency of magnesium is magnified by calcium overdosing from fortified foods and supplements. Calcium and magnesium are opposites. Calcium causes nerves and muscles to fire and magnesium lets nerves and muscles relax. Basically calcium turns things “on” while magnesium is needed to turn the switch “off”. Without enough magnesium, the switch stays “on” due to plenty of calcium to stimulate it. Due to too much calcium from fortified foods and supplements, nerve and muscle cells are staying “on” instead of turning off. When there is too much calcium compared to magnesium then even more magnesium is depleted. Calcium keeps the muscle or nerve cells firing or contracting. Without sufficient magnesium in the system, calcium deposits in soft tissue areas that aren’t desirable. Proper magnesium balance keeps the calcium where it should be including the bones. It is also a natural laxative and will steadily lead to softer bowel movements. 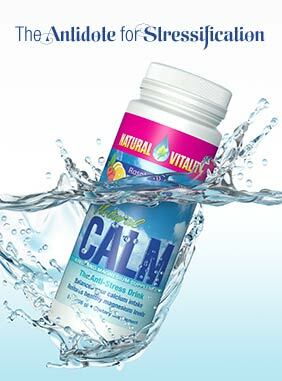 Natural Calm uses a proprietary blend resulting in ionic magnesium citrate that dissolves easily in hot water. It is a pleasant drink and soon after drinking it, the soluble magnesium exchanges places with calcium throughout nerves and muscles, allowing NATURAL relaxation. If you are tense, tight, stressed, knotted, can’t relax or get comfortable to go to sleep, then I cannot recommend Natural Calm highly enough. We always have several flavors on hand in our office. My personal favorite flavor is raspberry-lemon while my second favorite is lemon. It also comes in “original”. Original is tasteless and if you have a favorite tea bag, then you can make your own tea with it. While my business partner, Chrissy’s, favorite flavor is cherry, I stay away from that one as it tastes too much like cough medicine to me. Reba from our office enjoys the orange flavor. We have single-dose samples of all flavors as well as the full-sized canisters. Many patient’s spouses have enjoyed the benefits of Calm and have begun using it to de-stress and loosen up from a hard day. Stores that commonly carry Natural Calm are Sprouts and Whole Foods. If you don’t like hot drinks, still make Calm with hot, boiling water, but then refrigerate it or add ice. Consider adding it to one of your water bottles for workouts. It is a great recovery drink that will naturally allow relaxation of muscles after working out. After the magnesium is dissolved, it will still be soluble even if the drink is cold. Another magnesium treatment that I highly recommend is Epsom salts. 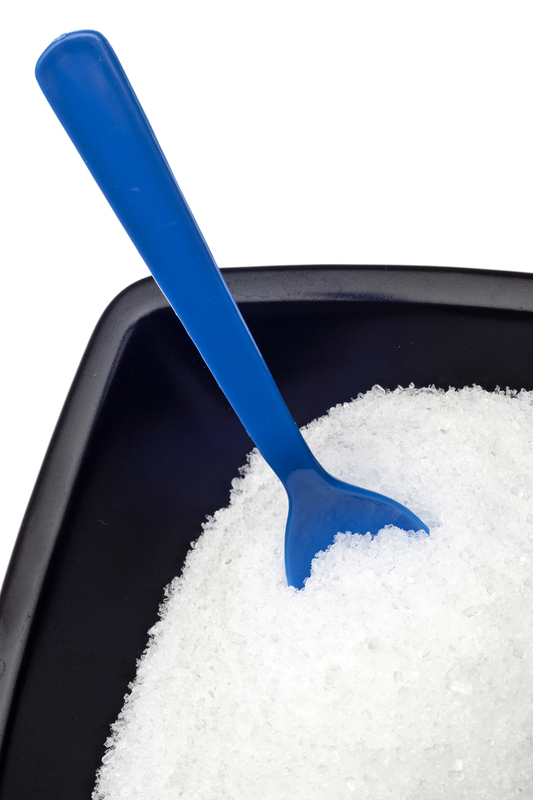 Epsom salts are crystals of magnesium sulfate. When you have tight, sore or painful muscles, a warm bath with a couple of cups of Epsom salts can give you fast relief. Epsom salts are available near the pharmacy aisles in bags or cartons and are very inexpensive, anywhere from $3-5 for a 5 pound bag. If you have had a hard workout, or you are sore from yardwork or are tense from a stressful day at work, a warm bath with Epsom salts will relax you and take the edge off for bed. The magnesium salts absorb through the skin to provide the balancing act for calcium inside of contracted muscles. We will be carrying Epsom salts in the office for your convenience beginning December. The directions on Epsom salts say it can be mixed and made into a drink but I haven’t tried it since I have always used Calm. It is a different magnesium salt than Natural Calm, and it is safe. If you want to be economical then you can double-dip and use it for your bath and your drink. Either way, you will be well on your way to soothing tight, achey, sore muscles with Natural Calm and/or Epsom salts thanks to “magnificent” relaxation from magnesium. This entry was posted in Dr. Erica Approved and tagged Anti-Stress drink, calcium magnesium, dr erica approved, drug free pain relief, epsom salts, Erica Kasprzyk, Erica Windle, magnesium citrate, magnesium sulfate, muscle relaxant, muscle relaxer, Natural Calm, Natural Vitality, remedy for sore muscles, remedy for tight muscles by gotposture. Bookmark the permalink.